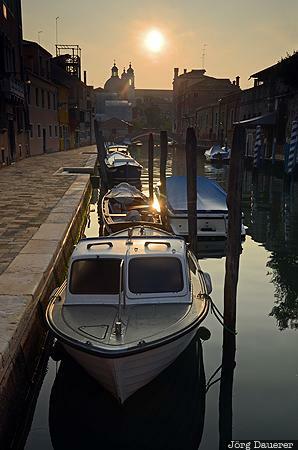 A small canal in Venice with some boats in the foreground back-lit by warm morning light. Venice is in Veneto in northern Italy. This photo was taken in the morning of a sunny day in November of 2011. This photo was taken with a digital camera.